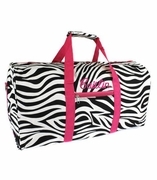 Classy and sophisticated black and white vacation or business duffle bag. 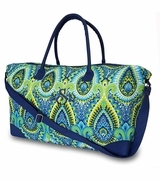 This weekender bag sports an on-trend and statement-making vegan trim. The bag has a spacious main compartment and interior zipper pocket to hold smaller items like a mobile phone, ID and car keys. Use for a day outing, at the office or a visit to friends, it is versatile in neutral shades and can be styled up or down to suit your mood. 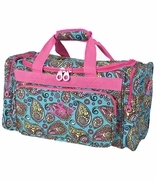 A water-resistant material makes this a great travel bag. 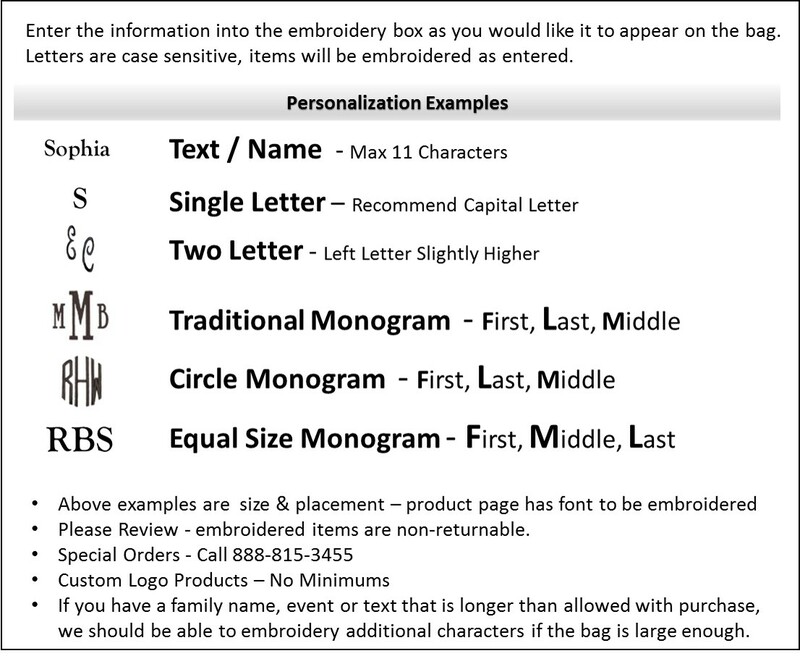 Add a personal accent monogram for a complete look. Matching companion pieces for purchase include the accessory pouch search item WB-M725CNIGHT and shoulder tote item WB-M450CNIGHT. 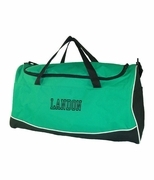 The ladies duffle bag measures 20"W x 16"H x 10" across the bottom.